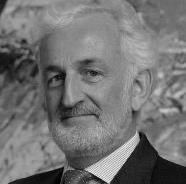 Bernard O'Connor is member of the Law Society of Ireland, Brussels Bar, IBA, ILA, EFLA, AIDV. He manages the Brussels office of NCTM offices in Milan, Verona, Rome, London and Shanghai. He has a Masters of Legal Science, Trinity College Dublin 1998; a LL.M, European Law, European University Institute, Fiesole, 1986 and a Master in European Integration, University of Amsterdam, 1985. He teaches Food Law at the University of Milan; Agriculture and Trade at the World Trade Institute, Bern; Agriculture and Trade, IELPO, University of Barcelona and Agriculture and Competition Law at Carlos III, Madrid. He has written books on Geographical Indications, Agriculture, Public Procurement and general EU law.